There are a number of advantages to having a translation tool on your website, here are just a few to show how a blog or website can utilize the power of the translation tool. Having content translated to another language can be quite helpful in reaching audiences that otherwise might be overlooked. Although English is the most used language on the Internet, it still misses out on nearly 2 billion people who are comfortable reading in their own language. By allowing for easy translation, the potential audience grows substantially to include nearly everyone who surfs the web. For websites and blogs that discuss topics of interest beyond the English language, this can be a very powerful marketing tool. Plus, even webs or blogs that are centered on topics that are inherently interesting to their own culture, such as “US Politics” for example, may still benefit from having a translation tool that allows those in the US to converse in their own language. For blogs in particular, the participation of having people from other languages and cultures brings about new viewpoints which can add new interest as well. Furthermore, the ideas that will come from the different cultures can bring about a whole new look at a particular subject, project or even product. Having different viewpoints is vital to charging up interest in a blog or website. Because these search engines do not use English, the most popular language on the Internet, it is much easier to get websites and blogs a high ranking. Likewise, people often prefer to use search terms in their own language. This is why having a blog translated will make a difference also in Google ranking. And like we all know, the higher the ranking, the more people will discover the website or blog. There is no need to write special articles to be seen in other languages since search engines do not count that as duplicate content that would hurt rankings. This means that the website or blog owner does not have to contend with any extra work as well. For web or blog owners who have struggled to get ranked highly on English search engines, sidestepping the process and appealing to people in their native languages can have definite advantages. A translation tool can provide a powerful advantage to blogs and websites that have information, products or services that are appealing to other cultures as well. 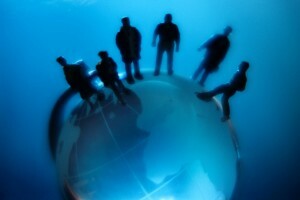 Now go and find the best translation tool for your blog. The Internet is full of options. 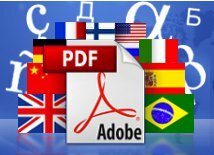 Do need to translate PDF documents? Try an automatic PDF Translator. It translates the text and keeps the original alignment with images and tables. Download Free version here.